Keeos Design Books has since the launch of Design Sketching in 2005 become a highly respected supplier of design sketching books. 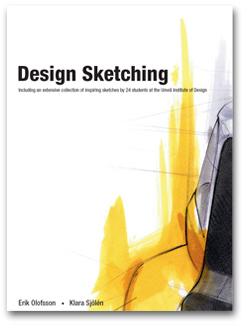 With some of the most recommended design universities in the world as our customers, we are today proud to have had two extraordinary design sketching books on the market! The last 10 years have been highly rewarding, and we are very glad to have had the privilege to have met so many people who are passionate about design. We hope that for those of you who own our books they prove to be usefull and inspirational for many years to come. We also want to say a big thank you to the many, many people who helped make the success of out two books possible. A special thanks of course goes out to the many contributing artists, without whom, the books simply would not be. Again, we hope you enjoy your books for many years to come. The KEEOS Design Books team. Click on the book covers to find out more! Sold Out! 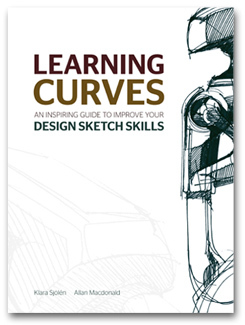 Learning Curves (2011) - Aims at showing you the tips, tricks and methods that will teach you how to really learn to sketch. Design Sketching (2005) – A bestseller and highly regarded source of inspiration for designers and students throughout the world.